ABSTRACT | The Telco sector is a gold mine for data scientists, as no other industry has access to such huge datasets both from the online and offline world, including geolocation information through smartphones. What is our approach to data monetization, what are the use cases that bring the highest benefits, what are the technological, security, GDPR challenges that need to be tackled? These will be the main topics of the presentation. Can data monetization offset declining traditional revenues or could it be even a jackpot? And last but not least, what are the skills and attitudes you need to have to join us? Who can be a successful Vodafone Data Scientist? Join the session and learn what is the future of data monetization in Telco and what you need if you are considering a career in this exciting industry. BIO | József Szőke is Head of Customer Value Management at Vodafone Hungary. He is 39 years old, married, and a father of 2 boys. He graduated from Corvinus University in Marketing Communication and e-Business. 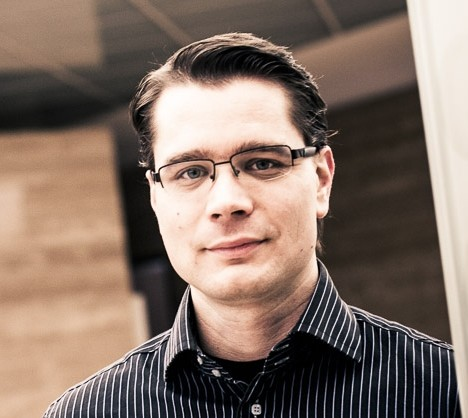 József started to work at Invitel (Vivendi Telecom Hungary) in 2001 as an Internet product manager. He later became Chello (fixed internet) Brand Manager at UPC in 2005 and started his career at Vodafone in 2008. In the last 10 years, he held several positions at Vodafone and today he is heading the Customer Value Management team that includes the Data Science Team as well. Beside the solid commercial background, József has gained broad experience in digital marketing, IT processes, and architecture and has a strong interest in programming languages and data visualization.